A group of 67 motorcyclists from across the globe embarked on the 9th edition of the Delhi-Leh Royal Enfield Himalayan Odyssey in the early hours today, accompanied by chants of Buddhist lamas. 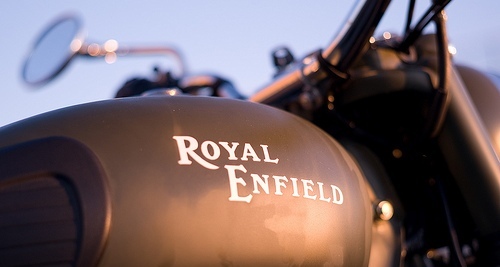 "The message that we want to give through the Himalayan Odyssey is that leisure riding has arrived in India and Royal Enfield will take you there," said Venki Padmanabhan, CEO, Royal Enfield, which is sponsoring the event. Said to be one of the oldest motorcycling events in India, the 2700 kilometre-long Odyssey this year has been charted to takes riders into the Spiti Valley first and cover the Rohtang Pass on their way back. The riders will be covering three mountain ranges and six passes, including Khardung La pass, which is the highest pass in the world in their sixteen day lap. Motorcyclists for the event range in the age group of 26 to 59 years and participants say the most interesting aspect of the journey is its unpredictability. "Ladkah's weather is very unpredictable and on top of that the terrain is also constantly changing. Since this is my second trip to the Himalayas, I know what to take along and what not to," says Santosh V Kumar, the team leader of the strong contingent. Apart from physical fitness, mental toughness is also a prerequisite for the event that is expected to see riders cover about 300 kilometers daily in terrain the include rocks, mud, snow, rain and sand with temperatures droppping to as low as minus 30 degrees in certain parts and extremely low oxygen. Rishi Raj, a participant who has also been organising leisure rides for the past 18 years says, "If you have no physical fitness then it is difficult. You need a daily regime for such rides, you can't prepare in two months."